Dimensions 1 by 8.25 by 10.50 in. 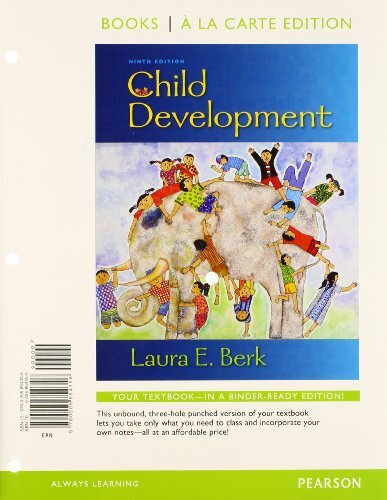 While carefully considering the complexities of child development, Berk presents classic and emerging theories in an especially clear, engaging writing style, with a multitude of research-based, real-world, and cross-cultural examples. Strengthening the connections among developmental domains and among theory, research, and applications, this edition's extensive revision brings forth the most recent scholarship, representing the changing field of child development.